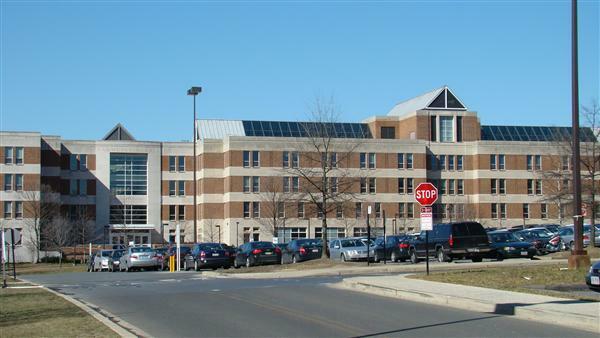 The University of Maryland’s Robert H. Smith School of Business is located in College Park, five miles from Washington, D.C. and 30 miles from Baltimore, Maryland. Five thousand students pursue bachelor’s, specialized master’s, full time and part time MBA, Executive MBA, dual degrees and Ph.D. degrees. The school also has executive and corporate education programs. In addition to Van Munching Hall on the University of Maryland's campus, the Smith School has campuses in Washington, D.C., Baltimore, and Rockville, Maryland. Approaching its 100th anniversary, the Smith School is home to 50,000 alumni. To apply to Smith, students must submit two official copies of their undergraduate transcripts, official GMAT scores, two letters of recommendation, and a set of personal essays. An undergraduate GPA of 2.8 is required. In the full-time program, the current entering class had GMAT scores ranging from 610–730, and an average undergraduate GPA of 3.3...To apply to Smith, students must submit two official copies of their undergraduate transcripts, official GMAT scores, two letters of recommendation, and a set of personal essays. An undergraduate GPA of 2.8 is required. In the full-time program, the current entering class had GMAT scores ranging from 610–730, and an average undergraduate GPA of 3.3. The part-time class submitted GMAT scores between 500 and 690. Students have an average of 4.5 to 5 years of professional work experience before beginning the MBA program. A large percentage of Smith’s part-time students plan to stay at their current company after graduation. In fact, many are receiving tuition reimbursement for their studies. However, for students seeking a new position or career change after graduation, the Smith School of Business boasts “excellent job placement rates” and lots of deep ties in the local community. “Great companies recruit at Smith,” says a student. Smith’s Director of Career Services is “committed, focused, and approachable. He has been successful in his own consulting business, as well as his academic career and uses these skills to make strong employer connections at Smith.” Students can also get highly individualized assistance from one of the office’s professional staff members or take advantage of the numerous resources offered. Recent companies that have recruited Smith grads include American Express Financial Advisors, Bank of America, Barclays Capital, Capital One, Chase Card Services, Citigroup, Deloitte Services, DuPont, Fannie Mae, FedEx, IBM, Intel Corporation, Lockheed Martin, Morgan Stanley, Motorola, The Washington Post, and The World Bank. Clickers allow students be better engaged in class, assists student in instantly understanding comprehension, create(s) an interactive lecture environment, and track student performance. Student response systems (SRS) easily allow professors to create interactive PowerPointÂ® presentations that collect real-time responses from students. As a result of student concerns from last year, the second year students implemented a Â“Student Help DeskÂ” during the midterm and finals weeks of the fall 2009 semester. Second year students reserved space in the Caserooms and were available for questions regarding economics, finance, statistics and accounting. Some second year students were resistant to participate because they did not feel it was fair that the new first year students would have tutoring available when they did not have the same opportunities. Overall, about 10 students volunteered for the Help Desk. Complaints about lack of tutoring services available, especially in finance, have decreased drastically from last year. Clickers allow students be better engaged in class, assists student in instantly understanding comprehension, create(s) an interactive lecture environment, and track student performance. Student response systems (SRS) easily allow professors to create interactive PowerPoint® presentations that collect real-time responses from students. Want more info about University of Maryland, Smith School of Business Part Time MBA? Get free advice from education experts and Noodle community members.